Having properly functioning brakes in your vehicle is important not only for you and your passengers, but also for other motorists, cyclists, pedestrians and anyone in your path on the road. Many people think braking systems are simple, often times calling to ask 'how much does it cost to fix my brakes.' Because the system is complex with many components, brake repair is difficult to diagnose without evaluating the entire braking system. 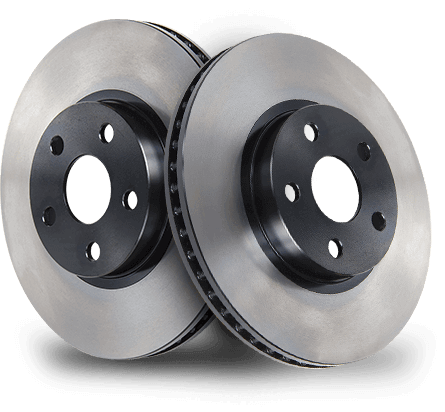 While brake systems vary slightly by the particular make and model you own, most consist of disc brakes in the front and either disk or drum brakes in the rear. The system is connected by tubes and hoses and linked to each wheel and master cylinder. Being able to slow down or stop is important. And in emergency stopping situations especially, you rely on your braking system. If any component of the braking system is not working properly, it becomes a safety hazard for many. Ignoring or delaying brake repairs, such as low brake fluid, a spongy brake pedal, worn brake pads or grinding, can not only become more costly, but also hazardous on the roadways to you and others. Having your brakes diagnosed may not cost much initially, but if not checked, potential damage to other parts or other vehicles can become quite expensive. Brakes should be inspected regularly. 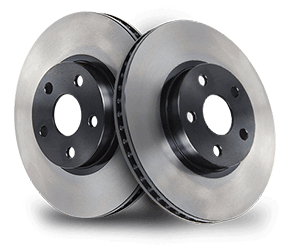 Your brake system is part of your vehicle's preventative maintenance. It's wise to do brake repairs before they become a problem. Skipping preventative maintenance may seem like a good idea because of the initial cost. However, worn brake pads, overheating rotors or low brake fluid can cost you more in the long run. Following an inspection and maintenance schedule can save you money in excess brake repairs, keep your car on the road longer, and may even maintain your warranty. Aside from the exceptional customer service you receive at Babcock Auto Care, our top-notch brake repair service sets us apart. Our trusted ASE-Certified technicians will test drive your vehicle, using their experience and professional expertise to assess your braking system. Then we will perform a thorough brake inspection in our shop by pulling each wheel off your vehicle to best assess each component of the braking system. We measure the pad and shoe thickness and uneven wear, assess the condition of the rotors, check the hardware to make sure it's adjusted and moving properly. We make sure the master cylinder, wheel cylinders and brake lines are not leaking. We check the calipers for wear and free movement and fluid leaks. We also check the level and condition of the brake fluid. During our evaluation of your brakes, we take pictures of any concern we find and input all of our findings into our digital inspection system. When complete, our service advisors will have all of this information at their fingertips and will generate an estimate based off the inspection result. They will then be able to give you an overall picture of what our technicians found and what it will take to properly complete your brake repairs. When it comes to brake repairs, we use only quality parts and industry-standard repair methods. Our work is guaranteed by the best warranty in the business.